- You can use the search bar to search the user you want to see. - You can also use the dropdown list at the end of each user’s name to change its roles. The system will then automatically save every time you do your changes. 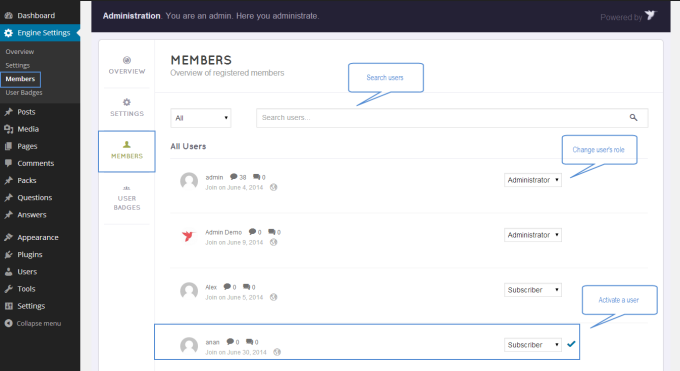 - Besides, admins can also directly activate a member manually before they submit their confirmation. If there's a visitor waiting for your approval, you will see a "Tick" symbol at the end of his/her name, you can click on this symbol to accept him/her.